Today I almost had my head caved in. I love playing golf but it is not without risks. An errant golf ball can come from nowhere and inflict painful and even life threatening injuries. So it was that I was enjoying a twilight round at my local golf course the other day when a golf ball bounced on the path in front of me and sailed past my face. It was so sudden I didn’t even have time to be shocked. When I saw the owner of the missile that almost terminated me I, politely, told him how close the ball had come to me and suggested that he might have invoked the golfing etiquette of warning me his errant tee shot was sailing in my direction. He asked, “Did the ball hit you?”. “No”, I replied. “Then I guess it’s your F*#@%ing lucky day then”, he barked back before marching on. It was impossible to not feel outrage at his behaviour. In the golfing world we apologise when our poor stroke play endangers others. Its called etiquette and it makes for safer play. We have all been in this situation. A driver cuts in on us, almost causing an accident, and our warning blast of the horn is met with ‘the bird’. We all have the associate at work who screws up and places the blame on others. And bureaucracy! Don’t get me started! I was recently at a party where I was discussing politics with a fellow guest when a drunken eavesdropper on our conversation took umbrage at what I was saying and started abusing me. The torrent of abuse could not be subdued by polite requests so I left. Today I was reflecting on how hard it is to let go of the sense of injustice that these incidents evoke. When we are confronted by boorish, rude, aggressive behaviour we want to have the power to force the offender to see the error of their ways. In OUR perfect world they will apologise and rejoin the ranks of civilised society. That led me to consider how that might happen. How could we regain the power over these troglodites? Wouldn’t it be great to be able to confront them, make them see the error of their ways and rejoice in their inevitable apology? Then the warning bell sounds. They might not see the wisdom of my, albeit calm, admonishment of their behaviour. They might get violent! So I, sensibly, withdraw. But, are you like me? Do you every now and again fall into the fantasy where, in best Dirty Harry style, you can reduce the villain to a snivelling mess because you have a .44 Magnum to intimidate him into submission? If only I had a gun! 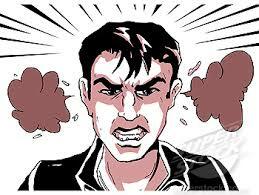 No one cuts in on me in on the motorway or drops a golf ball on my head without apologising goddammit!!!!! This is, of course, just a function of the natural desire to regain power and right perceived wrongs. But it is a wholly unhealthy attitude that fuels so much violence and gun crime around the world, particularly in countries with poor controls on deadly weapons. The examples I have cited in terms of bad golf or driving behaviour are incredibly trivial. The depth and breadth of injustice in this world is so immense that my minor social altercations are meaningless. And yet, I can seemingly allow my frustration and anger about these minor matters to be felt more deeply than my outrage at tyrants who inflict terror upon tens of thousands of innocent people every day? That is the nature of the human condition. We feel most powerfully about things that affect us directly. I’ve read ‘Don’t Sweat the Small Stuff’ and I know it is all small stuff so why do I hang onto trivial angst? So it occurred to me that maybe I get angry and resentful about trivial incidents because it is easier doing that than confront what really makes me angry and disappointed. Refugee children losing their sanity and childhood while languishing in immigration detention for years on end. Discrimination, exploitation, poverty, wars fought for economic gain under the guise of social reform. There is so much WRONG in the world it is overwhelming. So I retreat into the ‘safe’ world of bemoaning the behaviour of A-holes on the golf course or highways. What I learnt today is, I can deal with my outrage about injustices inflicted on me by being MORE outraged about the injustices that AREN’T inflicted on me. My challenge is to focus my outrage on the stuff that really matters in whatever ‘little’ way I can and let the A-holes disappear up the own proverbials. Thanks for absorbing my rant. Your comments on the above are welcomed. 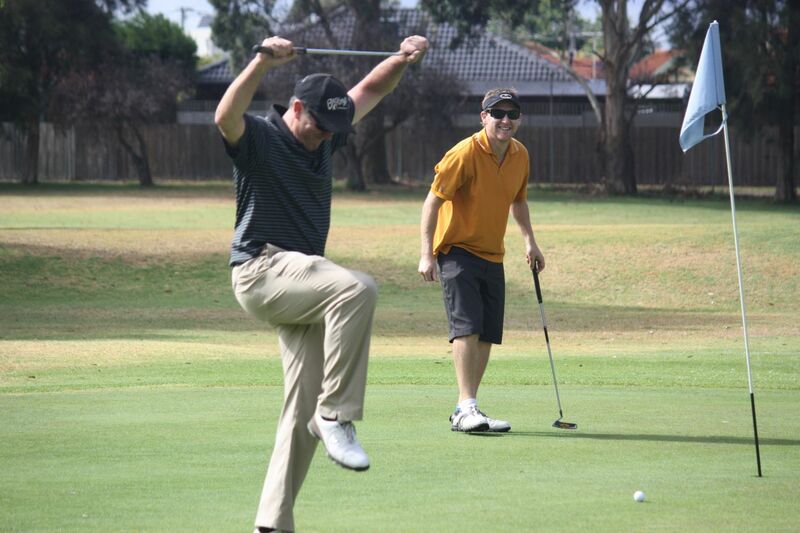 P.S Golf is a serious game but fun should still be had – there’s a bit of Happy Gilmour in all of us!